So that’s 5 years of just living and enjoying my life – not that my life compared to some others has been full of ‘excitement’ but it’s been relatively free of ‘drama’ and there’s been a lot to enjoy. Can’t really ask for more than that. In the meantime, I’ve aimed to save/invest as much of my net salary as possible (averaging around 40%), and also put away any income generated from cashback, the odd bit of gambling, affiliate links, premium bond/lotto wins and profits from matched betting. Any bonuses I’ve received from work have largely been invested too. Nothing radical, just steady progress from investing on a monthly basis. I don’t practise extreme frugality – I just don’t spend a lot of money on stuff I deem unnecessary, but splash out on things I enjoy and which I consider important to me. Apart from the hiccup of being made redundant in 2016 from the company where I’d enjoyed a 21-year career, my life these past 5 years has been pretty stable, allowing me to concentrate on my savings and investments. So, readers have come and gone over the years and I’m eternally grateful to the ones who have stayed and who continue to support my quest for FIRE. FIRE/PF blogs have also come and gone – many of those which I was following 5 years ago are no longer updated and have fallen by the wayside. I wonder what those bloggers are up to, if they have given up on FIRE, or if they have actually reached their goals and are just too busy enjoying their post FI(RE) lives. New FIRE blogs have sprung up in the past year and I’ve enjoyed reading about people starting their own journeys. How many will still be around in a year’s time though, never mind 5? According to my stretch target, I think I’m about halfway to my FIRE goal. Part of me is terrified that I end up thinking the latter and I fall off the rails before I reach the finish line. Of course, this is just an estimate really, based on calculations on my spreadsheets. Who’s to say what will occur in the future? Events might take place which could add years to my goal. Bar falling off the rails, Brexit (when that finally happens), unstable stock markets, global events – all might affect my portfolios in a negative way, and with my job and the company and industry I work in, there’s always the threat of redundancy so that could represent another big roadblock. Yes, I’ve overcome redundancy before but things might not be so simple next time and I won’t have a big severance package to fall back on. If it happens in the next few years, would I be tempted to try for ‘Extra Lean FIRE’ and not bother looking for another job? Who knows how I’ll feel then? I’ll just deal with it if it happens (again). This is where I could probably post some numbers to show how many visitors I’ve had over the years, page views, how many posts I’ve written, number of followers, subscribers etc. Sorry but I can’t even be bothered to check! Apart from the first few giddy months of me starting this blog, I’ve never been interested in such stats. Although my blog is monetised, it’s never been my intention to make any real money out of it so I’ve never felt the need to work at driving a load of traffic here. The bit of income that I do get from Google Ads barely covers the upkeep of my site and all affiliate income I receive is detailed in my monthly updates and gets chucked into my ISA. My only goal blog-wise has been to post on a semi-regular basis, so if I run out of things to write about, there’s always going to be my usual monthly savings update at the very least. One blog stat I do know is that these savings updates are my most popular and tend to attract the most readers and comments. As always, a massive ‘Thank You’ to all fellow bloggers and non bloggers who take the time to read this little blog – I do really appreciate your comments and emails. Thank you very much for helping me keep my focus, keeping me motivated, giving me ideas and helping me stick to my plan! So, I shall end this post by apologising now to those who will be sticking around – sorry, I’m afraid it’s going to be more of the same for the next 5 years! This entry was posted in Blog Update, Budget, Family, matched betting, Savings, Self-Development by weenie. Bookmark the permalink. Congratulations! Long time reader but this is my first comment on here so just wanted to say thanks. Here’s to another 5 🙂 keep up the good work. Thanks for reading and all the best with your own journey to financial freedom! Happy blogiversary Weenie! 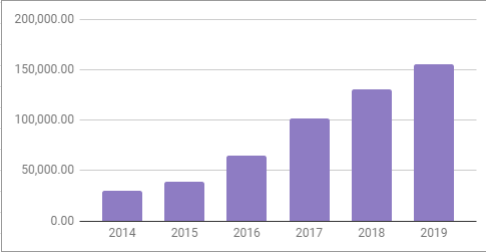 Five years of consistent blogging is a pretty incredible achievement. Hopefully I can emulate your diligence, but I suppose only time will tell. I think the UK blogging scene is all the better with you in it, so here’s to another five years and beyond! Thanks Dr FIRE for the kind words and I hope to continue to read about your journey too in years to come. Woohoo! Happy birthday to your blog and a big congrats to you! 5 years seems like ages for me. It must feel sad when you’re getting well with a fellow bloggers that desapear all of the sudden not hearing from them anymore. From your experience, how many FIRE bloggers out of 10 do you reckon give up before reaching FI? It’s impressive how in five years you’ve double the value of your future fund more than twice, it’s very inspiring. I like your common sense and defensive approach of how your funds and FI goals can be affected in the future, so you don’t dream an plan about something that may don’t happen as soon as previously expected. A big thanks to YOU for sharing your journey, helping, inspiring others and sharing your humble thoughts. I hope you stick around not 5 but many more! Thanks Tony for the kind words of support. Haha, yes, depending on your view, 5 years can seem like ages! I don’t know how many bloggers give up, too many to mention – some only manage to post a few times before realising that perhaps blogging isn’t for them. Others give up after a few months, or a couple of years. Some may have given up due to reaching FI, I don’t know; others because they realise the lifestyle is not for them. Yes, when I show my numbers like that, it’s clear that the progress is steady over the years so it’s definitely a longterm thing, the way I’m doing it, which of course isn’t the only way. Yours was the first UK blog I started reading and you know I have you to thank for introducing me to matched betting too. I will always be grateful for your generosity in sharing. It can be difficult to stay motivated sometimes with blogging so all credit to you for reaching this milestone. Every time I write a post, I’m reminded how much I enjoy it so I hope to be celebrating this for myself one day. Only 4 years to go…. Thanks FT9T5 and I’m very happy to have helped you out with my blog. You yourself have been an inspiration to me for going ahead and pulling the FIRE plug – that will be me at some point! Hi Weenie. Congratulations on this blogging milestone. You were my first commenter on my blog and also my first twitter follower. I will continue to read your posts and looking forward to the next five years and beyond! Thanks CFC and I’m all for supporting fellow UK bloggers on their FI journeys so will continue to follow and support yours! Congratulations on reaching 5 years Weenie, that’s quite some achievement. I love reading your blog, so thanks for all the work you put into it. I started my blog at the beginning of the year. I love writing it, although I quickly realised how much time it takes. I really hope I’m still blogging in 5 years time. I think one of the reasons I enjoy your blog so much is that you don’t seem too extreme about it. Seems like you still spend money on things that you enjoy and yet you’re still steadily making your way towards FIRE. That seems like a great plan and one that I’d love to emulate. Thanks for reading, Sassenach Saving. As I mentioned, blogging hasn’t gotten any easier but as long as I continue to derive enjoyment from it, I will carry on writing. I’m not sure I would have lasted this long if I’d gone down the extreme route – financially and mentally, it would have been unsustainable. Well done weenie! 5 years is good going and so impressive to see your fund increase from £30K to over £150K during this time. Looking forward to the next 5 yrs and you closing in on your goal! Thanks DIY. Logging my numbers monthly, it’s sometimes not easy to see progress being made – it’s the graphs over time which really show the achievement and it’s very motivational. Thanks for your continue support. Thanks for reading and following my journey. Yes, life can just get in the way of blogging so perhaps I’m fortunate that my life currently allows me the freedom to blog and to enjoy writing. I hope i can last 5 years with the level if quality and variety yiu have – It’ll be tough! Thanks for the kind words, GFF and all the best with your journey. Well done weenie, for being consistently positive voice in the community, for generously sharing your journey, for your persistence in sticking with it, and for the remarkable progress you have made in what is really a brief period of time. I look forward to following along wherever the journey takes you. Thanks indeedably. Persistence is key I think as I’m just making small and slow steps forwards, rather than big and fast steps. 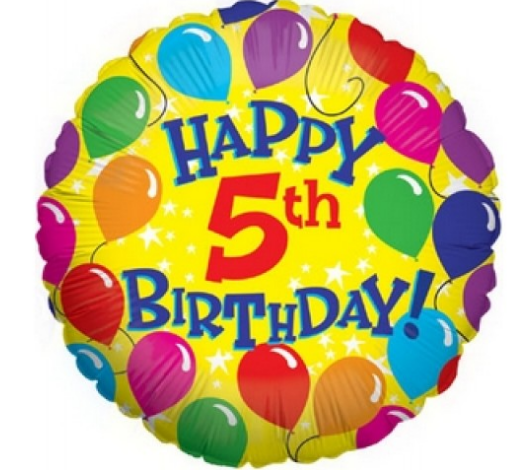 Many congrats on the fifth birthday of your blog! Great to see how your Future Fund has grown, and I certainly look forward to your post. Here’s to all the years ahead! Hi Faith A, thanks for reading and for the kind words. Nice one Weenie! Great going. Your blog has been an invaluable resource for UK FIRE persuers. I very much doubt I’ll still be blogging in 2 years time, let alone 5. So I have a great deal of respect for you! Thanks for reading. I sincerely hope you’ll still be around in years to come as your voice, expertise and story is valuable in the community as it provides something very different from the usual crowd. Congratulations! As others have said, yours was one of the first FI blogs I came across. I think you were also the first commenter on my blog and I always appreciate you taking the time to comment on my posts. God knows if I’ll still be sticking it out after 5 years. Good to get an insight into what people like reading on your blog. I always worry that I’m not doing enough “useful” blog posts. But really most people just enjoy tracking another person’s journey. And yes, for me, it’s the tracking another person’s journey which also interests me. Well done for sticking at it! For me UK FIRE bloggers are few and far between and so I look forward to reading what you have to say over the next five years. Thanks for reading and following my journey! 5 years is a great number to achieve. I don’t comment very often, neither here nor anywhere else. I think I mentioned at the FIRE escape in Wales that I’m more of a lurker and reader than commenter, but I do read and enjoy your posts. Long time no hear – I hope you are well and I hope all is going well with your own journey and your investments (I recall you had a basket of investment trusts). Congratulations! To be honest I said what I wanted to on twitter. You’re a star and SO supportive of the rest of the community. As you point out so few blogs keep going. I’ve been lurking around this space for years and quite a few of my favourite UK bloggers have disappeared. It’s odd when you follow someone’s journey closely for years and then they drop off. It’s the nature of the beast I guess and I’m sure that almost all of us will do the same eventually. Glad you’ve stuck around though! Love your writing and look forward to all of your posts. Also goes to show what ‘Quietly Saving’ can do. A consistent 40% savings rate without going frugal mad has led to your future fund going up by 4-5 times in 5 years. What an great achievement! Thanks Caveman, you’re making me blush! Just trying to do my part to help others in the community as I have received so much help and support myself. Yes, consistency and balance is key – I couldn’t maintain a frugal mad lifestyle and am not in a race or a rush to get to FIRE so can just plod along over the years. Let’s just hope I can do it in the next 5 years! Congratulations on your journey. Although I am on the FIRE pathway I have only just found your blog. I love what I have read and will try and find a way to look at past posts on the blog to follow your five year journey. Hopefully I can draw inspiration and follow your tips. Thanks for stopping by and reading. I hope my posts can provide some inspiration and some ideas for your own FIRE pathway – all the best with your journey! Congratulations on the five years.. Does it feel like 5 years hehe? It’s glad to see you have carried n with regular updates all these years. Always enjoy reading your posts. Be very interesting to see where we all are in another 5 years times, as you say, will the same blogs exist, will the world be destroyed? Let’s see :”. Thanks Chris and actually, no, it doesn’t feel like 5 years! Time goes by quite quickly for me these days and it hasn’t felt like a long time at all. Let’s hope the world hasn’t been destroyed just as I pull the FIRE plug, haha! I am one of the former bloggers, who “fell by the wayside” (FinancialIndependence UK), and it is partly down to having achieved my goal as I have not worked for the last 18 months, and partly due to not being a great writer, and usually struggling with what to post. I still manage my investments which are now in drawdown, and maintain an overall interest in investing, but at present am unable to add to my investments as I am taking more money out than income until a final salary and the state pension kicks in. I have enjoyed every moment of my Financial Independence, mainly because Mrs FIUK and I choose when we want to do things, so if we want to have breakfast in bed on a Tuesday we can do so, but similarly if we want to walk the nearby Lake District fells for the whole day on Wednesday, then we can do so. I still enjoy reading your blog amongst a few others, and hope you don’t get bored, but at the end of the day it is your choice. It’s nice to see what the end goal can be like as a bit of motivation. I feel like most blogs in the UK especially now are people who are still on the journey just like myself. I think when I started the majority of blogs were from people who had already done it… funny how the shift has happened like that. Hopefully this does not mean that many do not actually get there… haha. I wouldn’t actually describe you as a blogger who ‘fell by the wayside’ as you did post about pulling the FIRE plug and you have posted subsequently about your FIRE life, though not very regularly. To me, that’s just you being too busy enjoying your FIRE life to blog, although like TFS, I would love to read more about how you are managing drawdown and any other observations from actually spending rather than accumulating. Congrats Weenie. Your blog is one of the three I keep abreast of regularly. TheFIREstarter and Saving Ninja being the other two. There was also Financially Free by 40 but he’s not blogged since May last year. I like your writing style and you’re at a similar point to me along the path to FIRE. The chart you’ve posted is very encouraging. All that in just a brief five years. Just think what the next five years of that chart will look like. My FU fund is mainly in a few private pensions so 55 is my freedom age. My S&S ISA though has just started to clearly demonstrate the effects of compound interest. It’s now earning me the equivalent of a months net salary. I just need 11 more of them! Keep it up. You’ve got a quiet but loyal reader here. Thanks for reading and yes, it sounds like we’re at a similar point along the path to FIRE. I think my pot is split around 50/50 between pensions and ISAs, though I think at some point, there will likely be more in the ISA. I don’t want the next 5 years to go too quickly as I don’t want to wish my life away but yes, I’m very interested to see what the chart will look like! Congratulations Weenie!! I really enjoy following your journey, thanks so much for sharing it with us. Hope you are well and thanks for your continued support! Well done on reaching 5 years Weenie – that is a great achievement and I so love your approach doing what you love and enjoying life. And I’m interested to see if you manage to keep the blog secret or start spilling the beans..
I’ve been trying not to think about the secret blog thing as it’s making my head hurt! Weenie, don’t you dare go QUITTING SAVING on us! (perhaps if i were an opportunist though, I should reserve the domain name, just in case there’s an alter ego in you). You’ve come so far, and made great strides on your path you’d be mad to pack it in now, and your openness and honesty has been a great inspiration to many of us i’m sure. Before discovering the FIRE community, for many years i thought i was a complete freak, saving as opposed to spending. It’s been so reassuring reading your blog and some of the others out there. Thank you. I’m sure it takes a great deal of your time to keep QS on the go, but hopefully the useful exchange of information with all the followers over the years has offset this somewhat for you. I’m very grateful to you for all of your posts and sincerely hope that there are many more to come. Keep on trucking. I am so glad I found the FIRE community and I have loved being among ‘fellow freaks’, who have been most supportive of my own journey and it heartens me to read that I have been able to help others. Has it been hard? Looking back I think it’s actually been fairly easy for both of us, would you agree? I don’t mean in terms of time invested, that is always hard. But the motivation to keep going with both blogging and FI/saving has not really waned all that much for me. Thank you for your contribution to the FIRE community, for sticking around with me for 5 years, and for being a friend. You’re absolutely right though – while I can’t say it’s always been easy, it’s definitely not been hard. I’m still very much motivate and I have a load of draft posts which may never see the light of day but which I keep in case I feel like publishing them. I think your MB side hustle takes more time than mine does but your earning power from it is much greater, so why not, while you can? Good luck with the casino offers – not something I could multi-task as I would certainly make a mess of things haha! I enjoy reading your posts. I am one of those who has dropped on the number of posts I publish. Work commitments and getting out there to enjoy my free time have got in the way. I was blogging the most when I wasn’t working. I had time to read, learn, study, free time and enjoy life. I am working and saving hard so that I can reach the line and become FI to the point I don’t have to worry about working again. I have been made redundant twice now and I am doing a job that doesnt have a future either . Once what I am doing is completed I expect to be given my marching orders – for them I am just a number and doing this is the cheapest way to get someone to do the work then drop on completion. My investments are doing ok as you say we are all ticking over and plodding along a path that can Ben slow and boring at times but when we reach the end we can look back with a sense of achievement and learning. Roll on another 5 yrs of travelling the FI path. It’s been clear from reading the last few posts of your blog that you have a lot on with work so it’s not surprising that it’s been a struggle for you to post regularly but you have continued to post, which is great, so that we can continue to follow your journey. All the best with work and hope you get something sorted once that project is done, something which you are happier with. The light at the end of the tunnel is appearing. If I can get this project over the line I will look to pull the plug so I don’t have to put up with the toxic managers any more. I hate being the punchbag in meetings for their failings. I may it be completely FI but I can use the money as a FU fund and walk away. Enjoy what’s left of the summer and determine a new course. Congrats on 5 years blogging and half way to your stretch target! I found your site from a TFS comment a while back I think (and from monevator weekend reading today). I bought a domain back in January (in the hope it would prompt me to write) and have written 0 posts yet! There are lots of people on different journeys. Thanks for sharing yours! When you’re ready to share your journey on your blog, please let me know! Congrats on reaching the 5 year mark! I agree on your point that many blogs have fallen off the radar so this makes reaching the 5 year mark all the more impressive. Here’s to the next 5 years! Thanks MGUK and I’ll certainly be trying to stay for the next 5 years! Congratulations on reaching the ripe old age of 5 and for being an ever active member of the UK FI community. I’ve also seen many blogs come and go in that time yet youve always kept up not just the posts but also comments elsewhere and interacting with other sites, I’ve no idea how you find the time! A belated happy 5th birthday! Halfway there is a great point to be, so you are over halfway through so think of it positively! At first, I thought you were Emma, also AKA PlayingWithFire but a quick glance at your ‘about me’ page tells me you’re not! 🙂 I shall stop by for a read.